The Zimba silver cast aluminium outdoor letterbox brick light, an IP44 rated brick light, with a sloping fascia to direct the light down and outwards. Alchromated cast aluminium for extra durability. 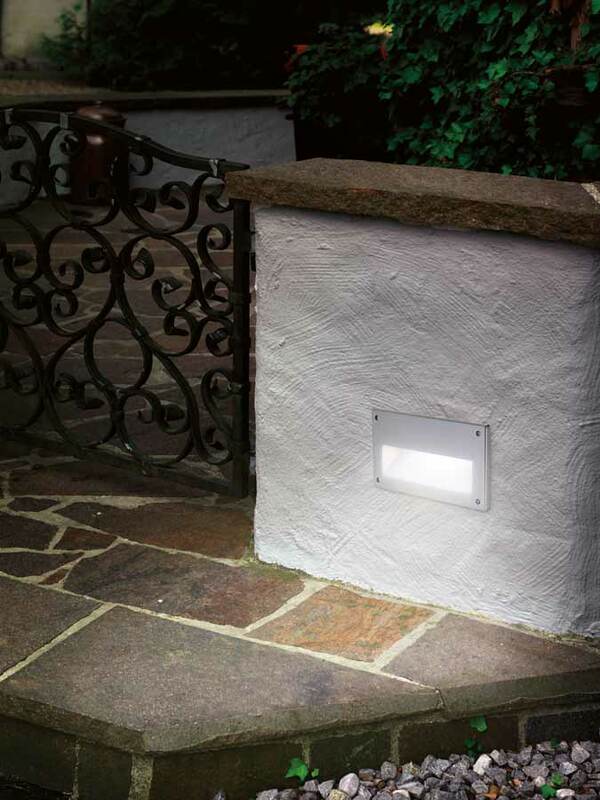 Perfect for lighting garden pathways or steps. Suitable for outdoor or bathroom use. Minimum recess depth 75mm, cutout 196 x 96mm. 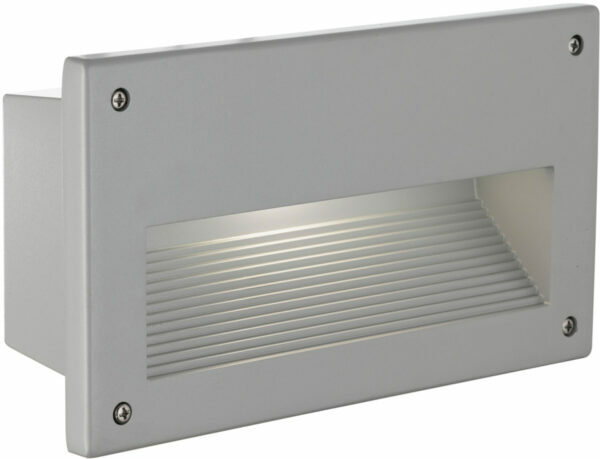 This brick light takes a 60w lamp but will accept an 11w energy saving equivalent.